Well on the International scene it’s that time again. The quadannual trip to our near neighbours for a hope of being invited to European Nations second biggest tournament. The journey to fill the twenty three places to join France. 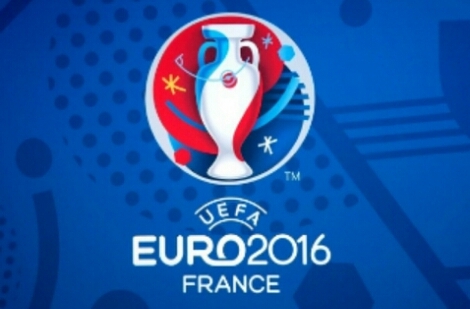 For the second string of European Nations this is the chance to get to a summertime party in 2016. With fifty three teams aiming for twenty three spots the odds are significantly better than the other qualifying for a World Cup. A cake walk for Netherlands with Czech Republic to comfortably join them. Turkey to sit nicely in third. The Turks won’t fear anyone on a two legged play off but plenty of nations will fear a trip to the hotbed hell that is a leg in Turkey. This is by far the easiest group. It’s inconceivable that Belgium won’t win. A team with Gareth Bale and Arsenal’s Arron Ramsey surely must have the valleys singing in celebration of qualification for first time in too long. I would expect a envious look on Ryan Giggs face. Spain to develop after a appaulling World Cup. Spain must replace a golden generation while fulfilling the expectations of a nation. No easy task. Placing Ukraine second is a unexpected risk. Sure they have the players on paper but the geo-politics of this corner of Europe may mean that every Ukrainian home game is played in a neutral venue. In addition to Ukraine based players becoming Soccer refugees. This could open a door for Slovakia. Oh Germany could simply turn up and get points. I would doubt they will lose six goals let alone drop points. Poland with almost Germanic efficiency should get second. The Tartan Army will struggle to out sing both Poland and Irish at Home games. Especially with Hampden out of commission due to Commonwealth Games. The Irish and Polish communities in Scotland and UK will turn out in numbers to squeeze the Hampden Roar. Then we get the Scotland team. Gordon Strachan will know goal difference will be as important as not losing to Martin O Neil’s Ireland. Scotland won’t win a playoff but could just could get third. Wayne Rooney as Captain is my only concern for England but in truth they should walk this group. A nice return to Switzerland for Roy Hodgeson. Not the easy street that will please the English nation but enough to keep Roy on the job. Not so much a group of death but a group of consistency the only joy for Northern Ireland will be returning to a refurbished Windsor Park. Greece may not be what the used to be but just too much quality to not qualify. This group to go with what pot the nation’s emerged from at draw. As with group F can’t see any nation beating the seedlings. Russia to qualify and a interesting battle between Austria and Sweden with Scandanavia edging it. Italy always make it dont they and Croatia are fast becoming a fixture on the summer soccer festivals. Norway lacking offensive quality could very easily be the third placed team everyone wants to get in playoffs. Only top two go through no prize for third. Portugal to cruise it and a nasty fight between Denmark and Serbia. Think the experience of Denmark will just edge out Serbia.